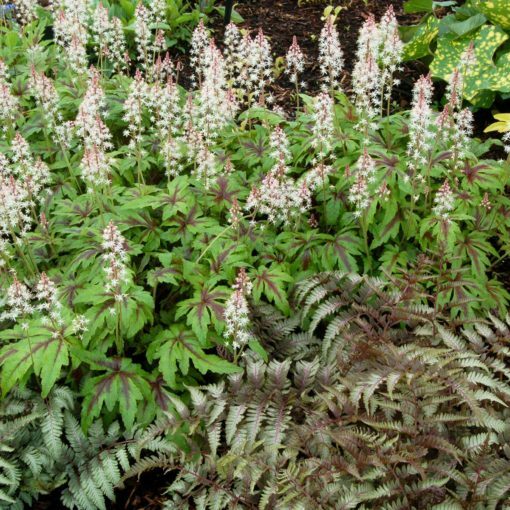 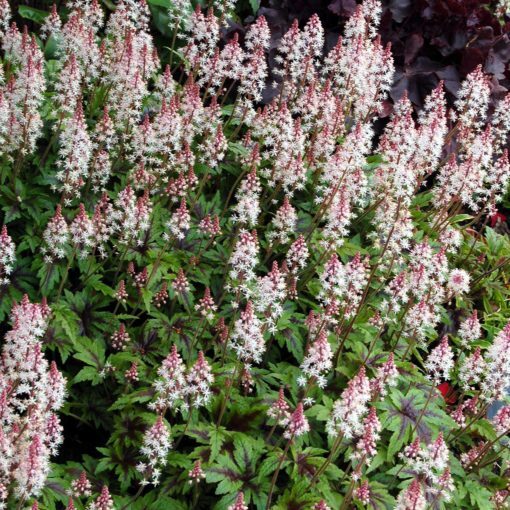 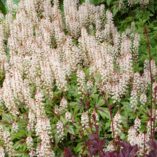 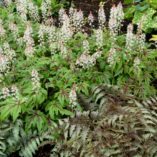 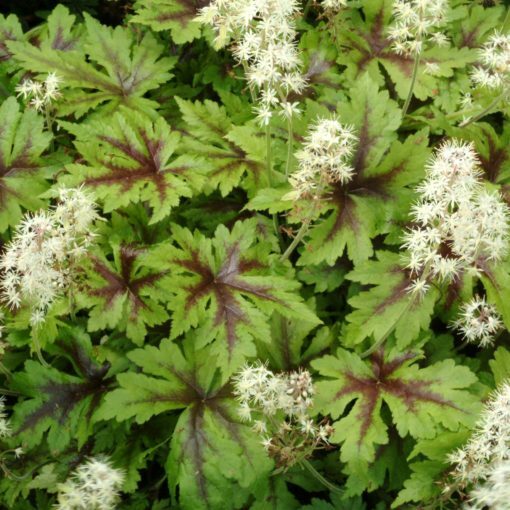 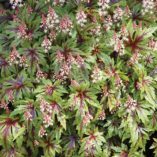 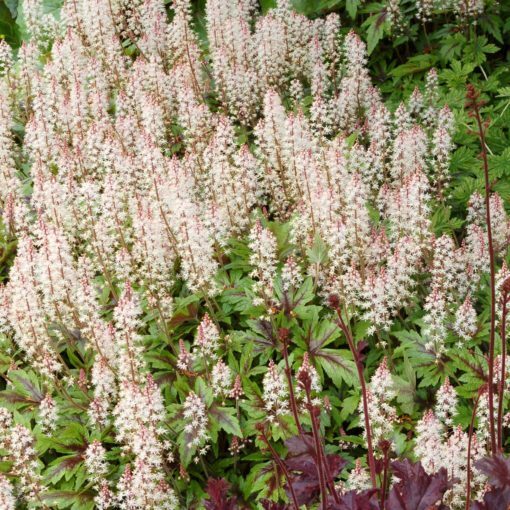 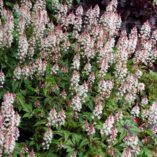 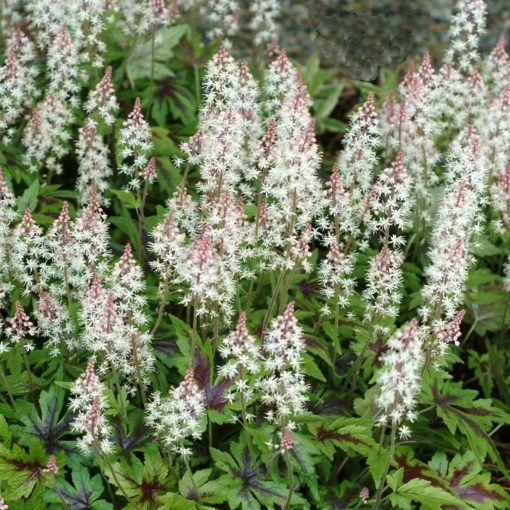 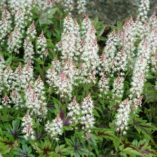 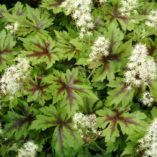 Tiarella ‘Sugar and Spice’ | TERRA NOVA® Nurseries, Inc. 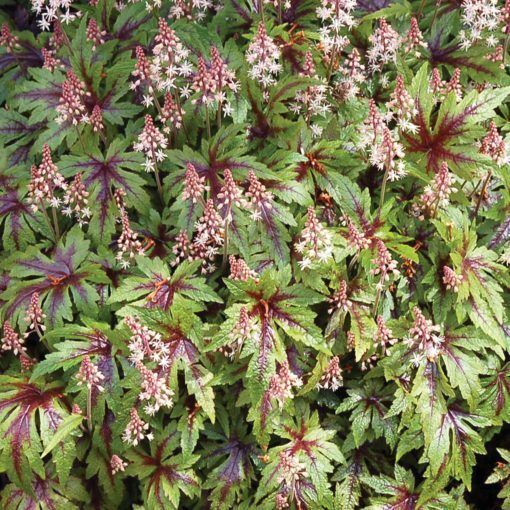 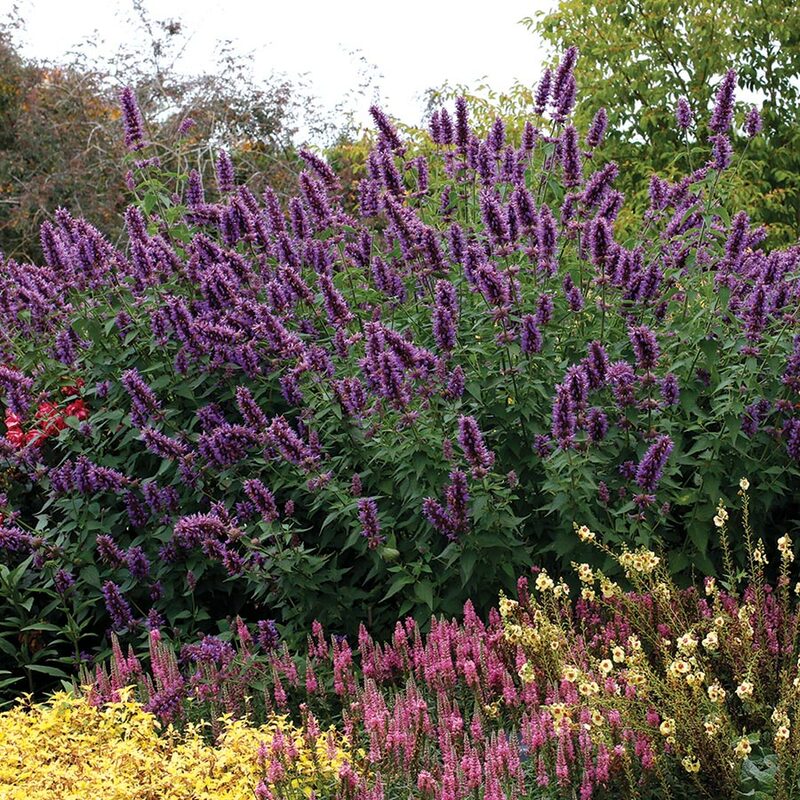 Dramatic, lacy leaves with painted, heavily-marked centers are seen in summer to winter. 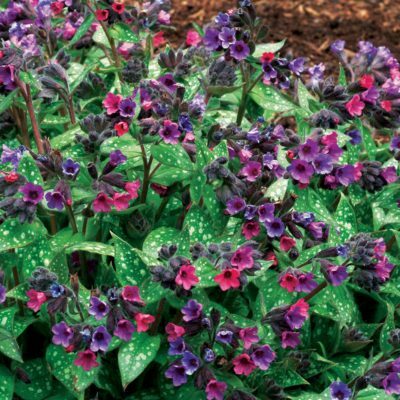 Lightly fragrant, spring flowers are uniquely “frosted with pink with a white interior,” says Ken. 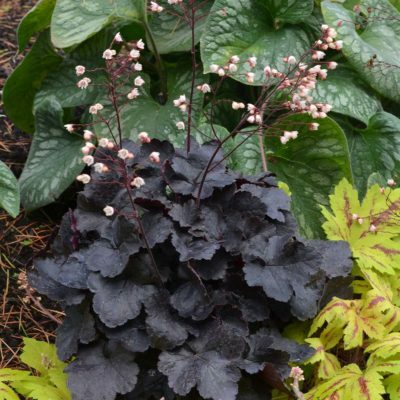 The shiny leaves appear to be lacquered and look fabulous all year here at the nursery! 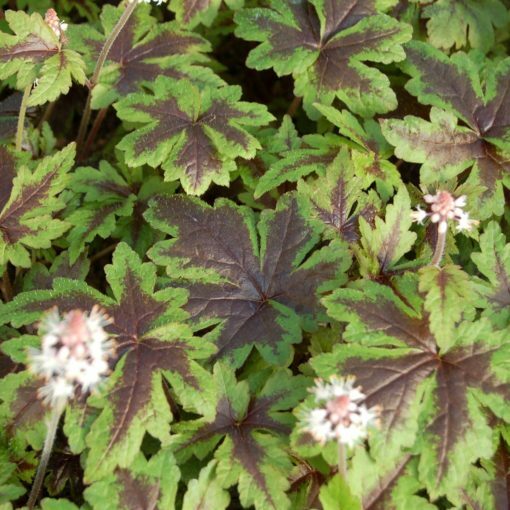 Dan gives this clumper #1 status. 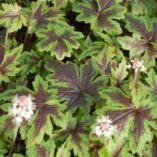 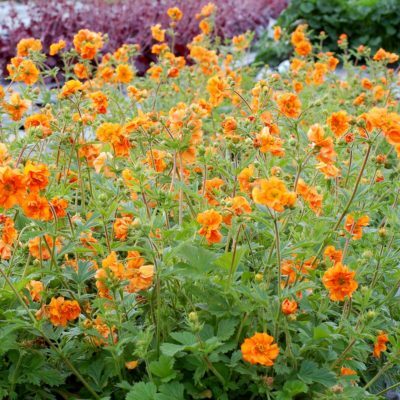 8" / 12" / 13"
It has distinctive leaves and a creeping habit. 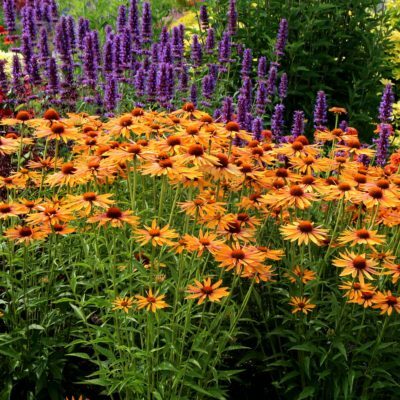 Did well at the Dallas Arboretum in their Perennials for Purgatory trials.